Are you a start-up or scale-up and wondering how to fund your ambitious ideas? Are you a financial advisor helping organisations find the right investment or investor for them? Or are you that investment manager looking for the right business to add to your portfolio? Perhaps you are a policy maker interested to see how other countries support their innovative enterprise? Then book the 31st of March and the 1st of April for the “Innovative Enterprise” conference in your calendar now! During those two days The Hague will be the meeting place for innovative enterprise, financial intermediaries, policy makers, researchers and investors. It’s a full programme with different types of sessions. Think of the ‘CrowfdfundingHub opening’ where two reports will be presented and a ‘FUN evening’ where professional failure stories will be shared. You will learn which finance options are available and get connected with the right people, learn more about InnovFin, the European Union investment programme for innovation. You will be inspired by stories about choices others have made and why. You will go home with information, valuable contacts and inspiration. The conference INNOVATIVE ENTERPRISE: FINANCING IDEAS FROM EUROPE is co-organised by the European Commission’s Directorate-General for Research and Innovation and the Ministry of Economic Affairs in the Netherlands. It forms part of the Horizon 2020 work programme Access to Risk Finance and is associated with the Netherlands Presidency of the Council of the European Union. For further information about the programme, speakers and registration, visit www.innoventerprise.eu. 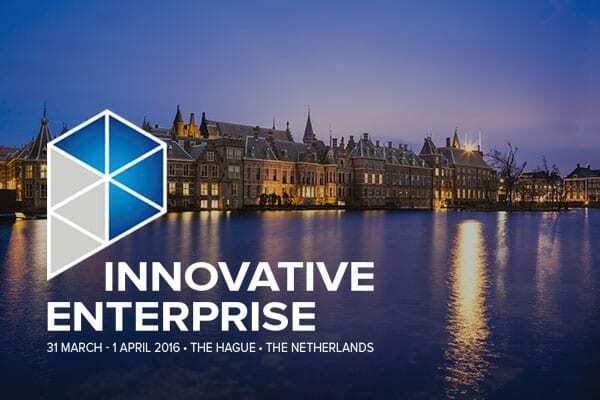 The conference Innovative Enterprise: Financing ideas from Europe takes place in the centre of the city of The Hague, in the area called the “Binnenhof”.